Come to the low country of South Carolina! 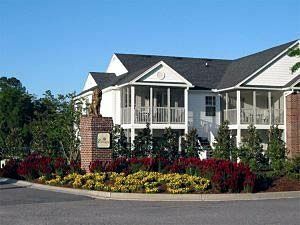 Owning a Festiva Resorts at Ellington at Wachesaw Plantation East timeshare lets you enjoy southern hospitality and a relaxed, easy lifestyle. This outstanding location affords both the serenity of a quiet coastal community with all the energy and fun of the neighboring city of Myrtle Beach and its famous boardwalk. Tucked away among massive oak trees draped in silvery moss, where the breezes are scented with pines and magnolias, you’ll find the timeshares of the Festiva Resorts at Ellington at Wachesaw Plantation East. The charming beachside neighborhood is located between Murrells Inlet and Pawleys Island. Once primarily a fishing village, today the area offers world-class golf, tennis, deep-sea fishing, scuba diving and the distinction of being the "Seafood Capital of South Carolina." Select the timeshare villa that fits your vacation style—the resort offers approximately 200 spacious 1-, 2-, and 3-bedroom timeshare villas. 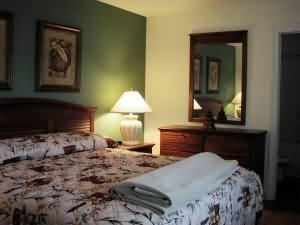 All are well equipped with full kitchens (including dishwashers and microwave), cable television, DVD players, and complimentary wireless high-speed Internet access. Many of the timeshares offer golf course views of the Clyde Johnston designed championship Wachesaw East Golf Course and all include patios, some with screened-porches. With beautifully landscaped grounds and picnic tables and grills near the pool, you will feel as if you are vacationing in a park every time you schedule a getaway. 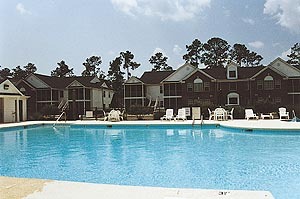 The resort property includes indoor and outdoor pools, a hot tub, a children's pool, and a playground. With a hiking and exercise trail, bike path, driving range, grill, and pub, this Festiva timeshare resort offers everything most vacationers need to relax and enjoy their golf trip, family holiday, or couples getaway. When you buy a timeshare resale at Festiva Resorts at Ellington at Wachesaw Plantation East, you are not only getting great value for your vacation dollars, you are buying timeshare at a vacation ownership property that has a solid reputation for delivering attentive and responsive service to its timeshare owners and guests. Although you could easily spend your entire vacation at the pool and on the beach, Festiva Resorts at Ellington at Wachesaw Plantation East timeshare resort is ideally located for enjoying so much more. There are day trips to the historic cities of Charleston and Georgetown, the Huntington Beach State Park (for spotting loggerhead turtles and alligator watching), Brookgreen Gardens, Broadway at the Beach, and the fun of Barefoot Landing in North Myrtle Beach, plus a whole bunch of fantastic Murrells Inlet restaurants to savor. For golfers, there are nearly 100 excellent nearby golf courses where you can book a tee time. For those who are attracted to birdies and eagles of another kind, this area has one of the most diverse bird populations found anywhere on the East Coast. Bird watchers will want to explore the salt marsh tidal waters for both hooded and red-breasted mergansers and buffleheads. More than 300 species of birds, from shore birds, to bald eagles and a variety of waterfowl including ospreys, blue-winged and green-winged teal, wigeon, canvasback, and ruddy and ring-necked ducks, all make their home (or vacation home) in this portion of South Carolina’s coastal region. If you’ve been looking to buy resale vacation ownership at a resort that is peaceful, friendly, spacious, and perfect for slipping off your shoes and saying, “ahhhh!” then a timeshare resale at Festiva Resorts at Ellington at Wachesaw Plantation East may be just the right deal for you. Why not contact a vacation ownership specialist at BuyaTimeshare.com and find out more about the opportunities available in Festiva timeshare resales and rentals? Contact Festiva Resorts at Ellington at Wachesaw Plantation East Specialist Today! Beautiful property, I love the convenience of everything. Love the golf course. I give this property 5 Stars. We spent the New Year at Wachesaw . The property was easy to find, right off Hwy 17 in Murrells Inlet, SC. It was a pleasant surprise. Definitely not a standard hotel room. Staff was helpful, and responded quickly to our request. The unit was beautiful, with up scale decor and well appointed with everything we needed. We had a two bedroom suite. The master was a king bed with bath, the second had twin beds and an additional bath, The unit had an open floor plan with a full kitchen, large dining area and a living room with a TV. There was a selection of activities available to us. We loved the crafting activity and came away with our creations as a memento of our visit. Excellent restaurants near by, as well as a large selection. Plenty of seafood, barbecue, Thai, Japanese to name a few. The pub on the property was very good as well. Everything was conveniently located on the property. We would go back again.